2010 AUDI Q5 3.2 QUATTRO FSi IN OUTSTANDING CONDITION. Beautiful silver paintwork with unmarked black leather interior with woodgrain finishes. This beautifully presented vehicle is packed full of appeal with loads of features including a panoramic sunroof, electric seats, cruise control, rear parking camera, power windows, airbags and alloy wheels, to name just a few. Receipts for all the servicing and comes with a CURRENT ROADWORTHY CERTIFICATE and statutory warranty. Plus all Stamp Duty and Transfer Fees are included in this drive away price. We can arrange finance with several options available. LMCT 7885. 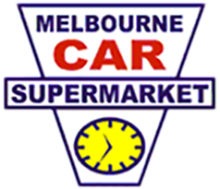 Established in 1989 this business is located only 25 minutes southeast of Melbourne CBD and 5 minutes from Southland Shopping Centre. We are current members of the VACC and over the past 26 years we have continually maintained a high standard of sales and customer service with WHOLESALE DIRECT TO THE PUBLIC PRICES.